The company offers renewable gasoline and low-carbon jet fuel, which are the two key verticals that are yet to be decarbonized in the mainstream market. 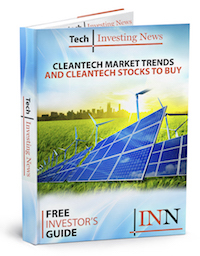 Gevo (NASDAQ:GEVO), a low carbon renewable energy company engaged in the field of alternative petroleum products, has big plans to expand its reach over the next three years. As part of its goals, the company has conducted trials for its renewable jet fuel. Its most recent one took place in mid-September, when the company announced that it had supplied its renewable jet fuel at a commercial airport in Australia. It was noted that 195 domestic and international flights at the Brisbane Airport used Gevo’s fuel, with the company achieving this milestone through the support of Queensland Government and Virgin Australia Airlines (AUX:VAH). On its part, Virgin Australia said that the successful trial was an ‘important step and is looking forward to fueling more flights with biojet over the next 12 to 18 months. Meanwhile Pat Gruber, CEO of Gevo, said that the company has been selling out the limited capacity of gasoline and jet fuel it produces and is particularly ‘excited’ about the company’s future. Case in point—also in September the company announced that Gruber purchased 10,000 shares of the company’s common stock in open stock transactions. “I believe in Gevo’s mission and I am very excited about Gevo’s future which is why I have purchased a significant number of shares,” Gruber said in the release. In an interview with the Investing News Network (INN), Gruber said that in the advanced renewables space—excluding ethanol—there are very few players standing, but claims Gevo is one of them. Gevo is a renewable technology company engaged in the production of isobutanol and other related products. It claims to have the technology to produce hydrocarbons from renewable alcohols. Gruber said the company’s growth potential is with the gasoline and jet fuel as they are the ones yet to be decarbonised in the mainstream market. Gevo takes the carbohydrates that are captured from key sources like plants, which are separated and fermented, to make low cost alcohols. Further, these alcohols are then converted by the company into renewable jet fuel and gasoline, among other products. The renewable gasoline (Isooctane) from Gevo is sold to developers like Haltermann Carless and Total (EPA:FP). It has to be noted that Total was the fuel supplier of Formula 1 teams Lotus (now Renault) and Red Bull Racing. Gruber hopes that the overall technology used in the highest form of racing will be transferred to road cars. Gruber explained that the Formula 1 teams have limited amounts of fuel they use in a race and thus try to get the highest energy and performance out of it. “We are an ingredient supplier to the final fuel,” Gruber said on the company’s products. Final fuel is the end product that consumers use to fill up cars at gas stations and usually consists of several ingredients, but is primarily made up of hydrocarbons. Different companies use different ingredients and some of it is also determined by government and environmental regulations. “As companies try to formulate, they try and maximize to consumers,” Gruber said. “Likewise, we produce isobutanol, which has higher energy per gallon. I’d expect that to show up as more miles per gallon for cars. Gruber said that the company’s jet fuel also has the higher energy density per gallon, which potentially means more miles flown per gallon. The company notes that its jet fuel customers include Lufthansa (ETR:LHA), United (NASDAQ:UAL), Virgin Australia, Cathay Pacific (HKG:0293), Emirates and Korean Air (KRX:003490). Gevo said that the incremental demand for jet fuel is about three billion gallons year-on-year and that its solution will help airlines meet industry goals of zero increased emissions by 2020. Looking ahead, Gruber said that the company aims to target the mainstream market when it has a large scale production plant. He said he anticipates that will take three years to execute from the moment the company has all the contracts in place. Shares of Gevo were trading at US$4.18 on Tuesday (September 25), although it has lost 64.60 percent in value throughout the year. However, its stock has increasesd by a slight 2.95 percent in the last month and has a 52-week low of US$2.75 and a 52-week high of US$24.74. The stock has a “Moderate Buy” ranking on TipRanks with an analyst target price of US$10 based on one analyst recommendation. Gevo has a “Sell” ranking on TradingView with 10 verticals against, eight in neutral and eight in favor.